Story of Thamus who judges Theuth 's inventions and some commentary on the myth's origins in Plato. 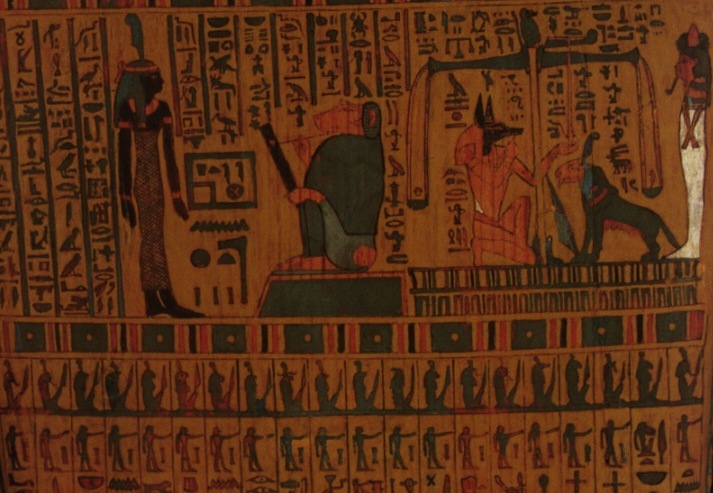 An ancient papyrus of the last judgment, found in lower Egypt. The pyramids at Gizeh or Giza [date from 2400 B.C.E. ]; photo: J.V. 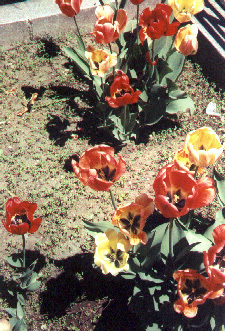 Siry, 1989. The coming of any new technology is strange  as dangerous as it is seductive  quiet, ever so silent that it feels so good when it arrives to settle in, we welcome it as a close –if not an old– friend. Plato crafted a story in his dialog concerning the purposes of rhetoric about the origins of writing to enable him to speak of truth or the capacity to discern authenticity from appearances. His story treats writing as an invention. He insists it is a new technology with certain unforeseen expenses that are not easily deciphered because the costs are masked by the benefits of the new technology. How then can the appearances hide exactly what something is actually? What did Thamus (King) decide to do & how is his decision about writing crucial to describing inventions? Stories are important means by which people make sense out of what they experience, what they know or what other's tell them. All of us are story tellers. We explain important events by telling each other tales, or personal narrations of what we do. We even tell lies and tall tales. But telling a story is important. Technopoly is the replacement of the traditional sources of authority, legitimacy and spirituality by material inventions, especially by machines and automation. "few legends are more instructive than his"
Theuth: "Here is an accomplishment . 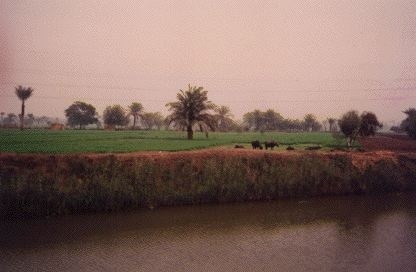 . . which will improve both the wisdom and the memory of the Egyptians." Thamus: "the discoverer of an art is not the best judge of the good or harm which will accrue to those who practice it." Postman quotes Plato pp. 3-4. "They will rely on writing to bring things to their remembrance by external signs"
But writing is instead a "recipe for recollection not for memory." "They will receive a quantity of information without proper instruction, and in consequence be thought very knowledgeable when they are for the most part quite ignorant." 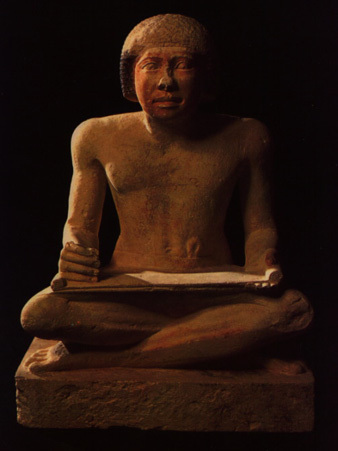 An Egyptian statue of a scribe (writer, or one who can write). "Thamus does not repeat this error." What do we say of technology when it presents us with an improved means to an unimproved end! Thus "its functions follow its form:"
it does what it was designed to do." To understand what that design is and what it does to us. 3B: Insidious and Dangerous when we "are asleep at the wheel"
Truth, fact, intelligence, wisdom, authority, values, etc. Upended by new tools and these new tool complexes create monopolies of knowledge, practice and ability. New technologies do not equally reward winners and losers. Computer Technology; has their widespread use altered the boundaries between power & freedom? Our patent American optimism is monocular  it causes us to overlook, ignore or forget crucial facts; this is the central warning of Thamus' Judgment in the dialogue of Phaedrus by Plato. The roles of motives & resources becomes reversed. and as a consequence. . .
William Fanish 1792, at Cambridge University, was the 1st graded paper! New measures of performance are invented in the 18th Century. A mathematical concept of reality is equal to IQ or the intelligence quotient. The measure of intelligence becomes a device, a tool for controlling people and influencing what they think of themselves. World View that is the way our society views the world is divided and this division generates "culture wars" over antagonistically different perspectives. End of a long standing truce between common (oral) and personal (quiet) reading aloud. Reading made us individualists while the older, aural (oral) tradition made us social animals. A new technology changes everything  not really in a negative or positive way, not a good or evil change, but a decisive departure from what has gone before. "Technological change is neither additive nor subtractive. It is ecological. I mean 'ecological' in the same sense as the word is used by environmental scientists." "One significant change generates total change." "This is how the ecology of media works as well." The Printing Press –– "It changes everything." "to satisfy one habit of the reader, to keep his mind diverted and quiet. . ."
are our minds diverted while the soul is looted? "We need to know in what ways it is altering our conception of learning, and how in conjunction with television, it undermines the old idea of school." What changes do inventions bring about in tools and tool complexes ? We listen to and join the Thamus / Theuth conversation to revitalize it, to enliven the dialogue. From – this author – we gain from this strange and dangerous story about new inventions, a hidden meaning. From Plato's personal recollection we can see a deep connection to a sense of loss veiled by the long past when literate societies replaced the aural and oral traditions. First published Thu. July 23, 2009; substantive revision Thu. June 19, 2014. Brisson, L., 1998, Plato the Myth Maker [Platon, les mots et les mythes], translated, edited, and with an introduction by Gerard Naddaf, Chicago: University of Chicago Press. First: To every action there exists parallel, perpendicular and opposite reactions to consider, examine, explain, & analyze. Second: That there exists a geometry of nature in which human thought is embedded. Third: That we need to re-create meaningful discourse or conversation – a dialogue – about our moral precepts, ethical behavior, and social values. This desirable conversation needs to be about who we are becoming as we utilize tools, especially new technological apparatus. And the dialog may most likely include how we use tools to achieve our ends, especially when technology is changing rapidly! "Story of Thamus who judges Theuth 's inventions & some commentary on the myth's origins in Plato."